If you have dead, dying, diseased, damaged, leaning, falling, rotted or decaying trees on your Citrus Heights property, tree removal may be a necessary option. An unstable tree can be a major safety hazard to people and property and should be assessed by a professional to avoid potential risk of injury, damage and liability. If there are issues that can be fixed with pruning, trimming, cabling or bracing, Destiny Tree Care can sometimes utilize these options before tree removal is necessary. Our experts in Citrus Heights are happy to consult with you and provide a solution that will be in the best interest of both the tree, your property and yourself. 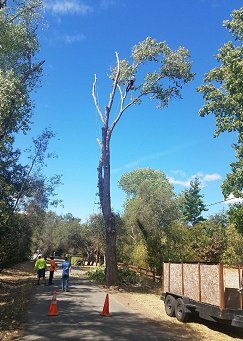 Removing a tree may also be necessary to provide clearance for power lines, homes, and new construction in Citrus Heights, CA. At Destiny Tree Care, we specialize in promoting good tree health. We understand that healthy trees add to the aesthetic appeal of your Citrus Heights property. However, sometimes a tree may be damaged or diseased and removing becomes a last option. It is essential that you hire the very best when you need a tree removed from your Citrus Heights property. 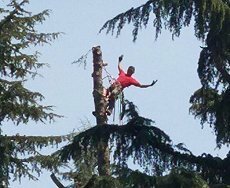 Destiny Tree Care has a trained and experienced team, and the equipment required to remove any tree in Citrus Heights in a safe and efficient manner. We will always clean up the work site to preserve the integrity of your Citrus Heights property. Contact Destiny Tree Care today for all of your tree removal needs in Citrus Heights, CA.